Yes. We provide free shipping to over 200 countries around the world. However, there are some location we are unable to ship to. If you happen to be located in one of those countries we will contact you. Yes, you will receive an email once your order ships that contains your tracking information. For some shipping companies, it takes 2-5 business days for the tracking information to update on the system. If you did not receive the product within the guaranteed time(45 days not including 2-5 day processing) you can request a refund or a reshipment. If you do not want the product you’ve receive you may request a refund but you must return the item at your expense and the item must be unused. Your order did not arrive due to exceptional circumstances outside the control of CNTRONIC Consumer Electronics Retailer (i.e. not cleared by customs, delayed by a natural disaster). 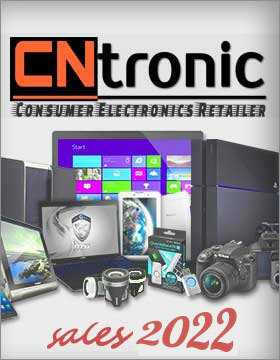 Registration with your email to receive more information about products, on sale, promotion, services and offers. © 2017 CNTRONIC Consumer Electronics Retailer.